I left the house to go to the post office. I got in my car, buckled my seat belt, and turned on the ignition. I drove down my driveway to the street, turned right, and I was on my way. I'll tell you so what. I did all this while I was thinking about something else. I did all these steps in the right sequence, on automatic pilot, man. I didn't use to do that. My previous habit was to get in the car, quickly turn on the ignition, and ignoring the seat belt beeper I would head on down the road. At some point the beeper would start again, only beeping faster. 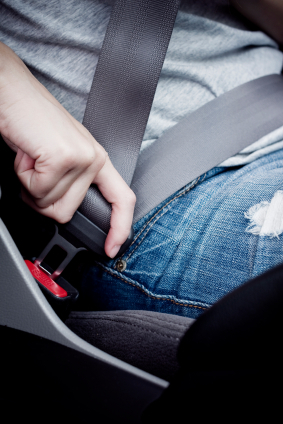 The only way to make it stop was to buckle up, while driving at 35 miles per hour. My way of taking off in the car was a habit. I had been doing it that way without thinking about it for years. But studying habits and behavior change is part of my work. So I decided to eat my own dog food. I decided to do what I would advise anyone to do. I would follow my own advice and break this habit. And monitor what happened along the way and how I felt about it. Here's what happened. I took off in my car 10 times the first week and fell into my old habit 9 of those 10 times. I failed 90% of the time. But I kept after it. The second week I actually improved to a 20% success rate, though it still didn't feel natural. By the third week, I was hitting around a 40% success rate. Progress! It has now been 8 weeks, and I'm up to 95%. Most of the time, I just buckle up correctly without thinking about it. For all intents and purposes, I have officially broken my old bad habit! It was an interesting experience to monitor my progress. I learned something HUGE. But before I tell you what the huge thing is, let me explain why it took me 8 weeks. I've gone over this ground a few times before in previous blog posts. But indulge me. What happens is that the old habit never actually goes away. It's already ingrained as a physical neural pathway in your brain, man, so how could it go away? No, what happens when you "break a habit" is that you create a new, better habit. And because of the benefits of the new habit, you use it instead of the old one. The hard part is that the new habit doesn't form itself overnight. It can't. You see, a behavior pattern forms when dendrites of the brain cells involved in the behavior grow until they connect to each other. When the new neural network is finally in place, the doing of the new habit is so efficient and easy that if feels like second nature. You can do it without concentrating on doing it. It's habitual. But like learning any skill, learning a new habit takes time. It takes a lot of repetitions. It's the repetitions that stimulate the dendrites to grow and keep growing. For simple behavior patterns, it can take a month or so, depending on how often you do it. The more repetitions, the quicker it happens. For me, it took 8 weeks. But here's the HUGE thing. I realized that what causes you to give up is the discouragement that comes from all that early failure. The failure to do what you planned to do is frustrating and discouraging, because you don't understand that in the early stages of creating a habit, you fail most of the time. You don't appreciate that if you keep trying, your success rate will slowly improve. In other words, people give up on breaking an old, bad habit because they don't understand that it takes quite a bit of failure to ultimately succeed. Their expectations are unrealistic. They get frustrated with so much failure and quit way too soon. I encourage you to try being patient with failure to create a new habit. Surely you have some bad habit you'd like to replace. Doesn't everyone? Give it a try. Actually, give it a couple hundred tries. Keep trying, respect how many reps it will take, and don't give up. Keep score. Pay attention to your success rate, and you'll see that it improves with time. When you get above 90%, you'll sense that the new way is starting to feel natural. Soon, you'll be doing it automatically. And at that point, you'll be home free, man. By the way, I made a brief video about this, if you're interested. I sustained a spinal cord injury leaving me paralyzed from the neck down (C4 quadriplegic) because I took off my seatbelt and climbed over into the backseat of the car to comfort my crying baby. I will live with the consequences of that choice for the rest of my life. Listen to your wife. Seatbelts are without a doubt essential. In my opinion, if I had kept my seatbelt on that day, I would not be sitting in a wheelchair today.